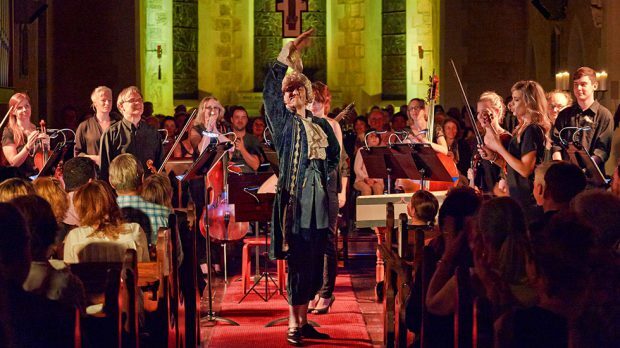 Bursting through the gloom of winter’s fog, Perth Chamber Orchestra and MSWA present with theatrical majesty Baroque by Candlelight in a celebration of goose-bump inducing classical music on Wednesday, August 23. St Georges Cathedral will house the conceptual show that’s set to deliver a unique and heart-warming experience for Perth Winter Arts Festival inspired by the great composers from the past. Patrons will be thrown into the touching age of authenticity through compelling tales of life in the Baroque times as they bathe in the warmth of hundreds of dancing candles. The children of Perth Chamber Orchestra offer a historical venture and a taste of post renaissance allure under the abounding expert artistic direction of Jessica Gethin. With the frozen lace of winter on our skin, what could be more desirable than an array of festive medieval inspired food and mulled wine? With a plate full and a glass in hand, Perth patrons will experience virtuoso violinist Paul Wright and soprano Prudence Saunders breathe the life of unique musical expertise into the cathedral. Broque by Candlelight plays St Georges Cathedral on Wednesday, August 23 for Perth Winter Arts Festival.